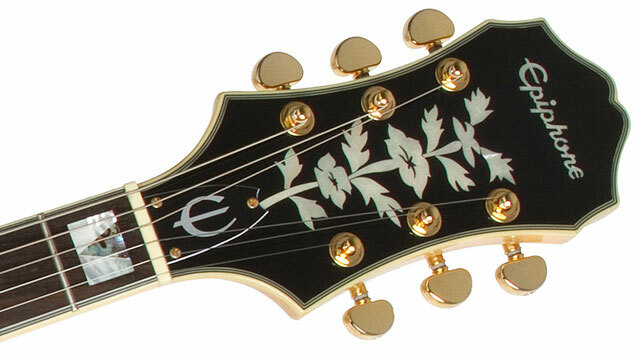 The inspiration for the ES series had its roots in Les Paul’s infamous “Log” guitar, built late at night in at Epiphone’s New York City factory just before the start of World War II in 1941. 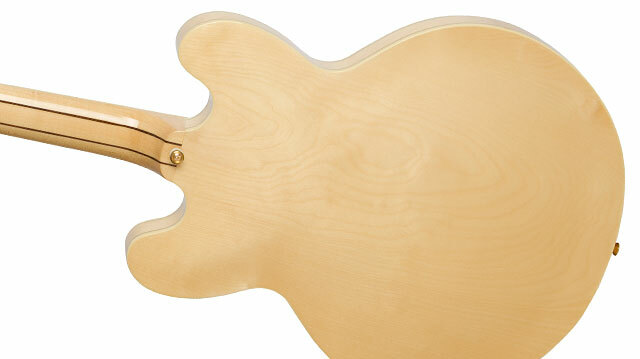 Les' “Log” was made from Epiphone parts and a 4" x 4" piece of pinewood. 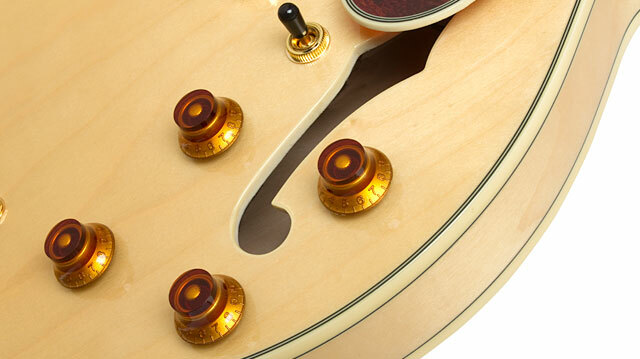 The feedback-resistant qualities of the ES-335 were combined with historic Epiphone inlays and cosmetics to create the first Epiphone Sheraton in 1959. While the original Sheraton featured a split-trapeze Frequensator™ tailpiece, our Sheraton-II features a Stopbar tailpiece for improved sustain and the 5-piece neck is made from Hard Maple/Walnut.